At his morning Mass today in the Casa Santa Marta, Pope Francis assured that prayer does bring miracles and that it keeps hearts from growing hard. 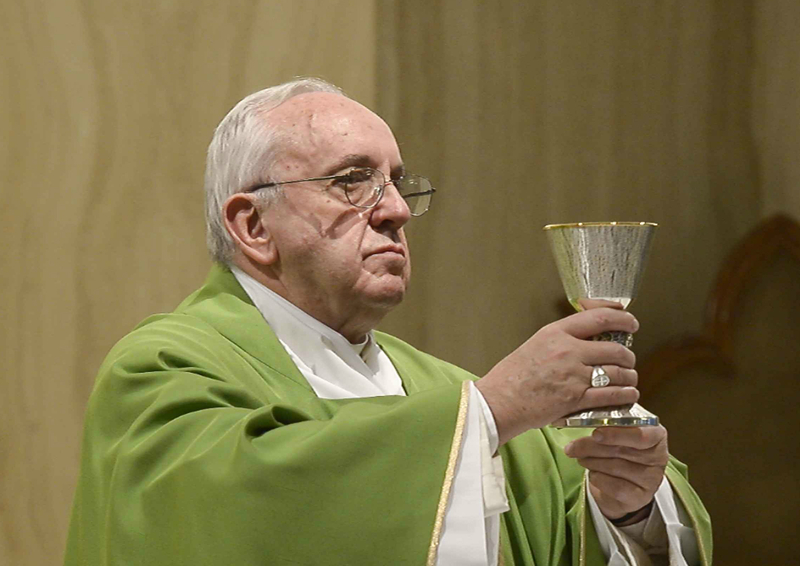 The Pope focused his homily on the First Reading, which relates the story of Hannah as she prays to God about her infertility and Eli, who assumes she is drunk. “Hannah was praying silently, her lips moved but her voice was not heard. Hers is the courage of a woman of faith who is weeping and grieving and asks the Lord for his grace,” the Pope explained. “Jesus knows this kind of prayer. When he was in Gethsemane and was so anguished and hurt he sweated blood; He did not accuse the Father,” Francis reflected, drawing a parallel between Jesus’ response and that of Hannah, since both prayed with meekness. “Sometimes, we pray, we ask things of God, but often we do not know how to engage with the Lord, to ask for grace,” he added.